This is an assignment for students to come up with a micro:bit program that uses Boolean variables, Boolean operators, and possibly the random function. When you shake the micro:bit, it reports the current temperature in degrees Fahrenheit. Button B measures the light level and if it is above 70 degrees AND very bright, it will display a sun icon. If it is above 70 degrees and less bright, it will display a cloudy symbol. If it is dark, it will display a nighttime icon. Make a holder that can hold the micro:bit and a bottle of sunscreen. The micro:bit uses some clever tricks to measure both light and temperature. Want to see how it can measure the light level and temprature? Watch these videos to learn how it does it. 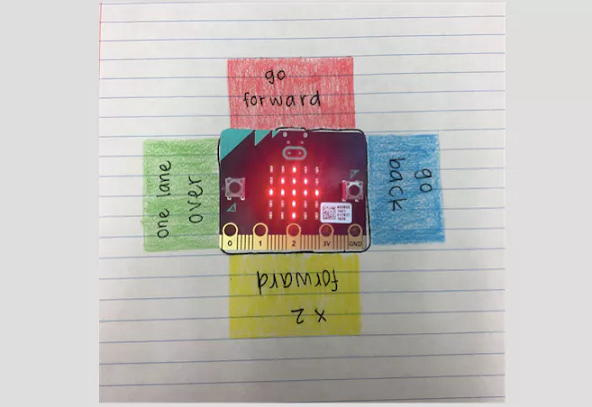 Create a game in which two players take turns on the same micro:bit. 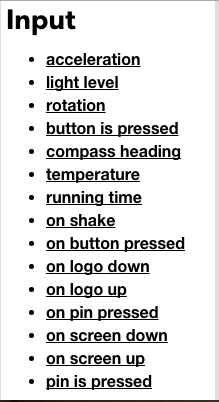 You can use a boolean variable called PlayerATurn to keep track of whose turn it is. Board Game: Use boolean variables and random values as part of a board game (or improve your Board Game from the Variables lesson). Make the board and pieces and a holder for the micro:bit. Try modding a current board game. 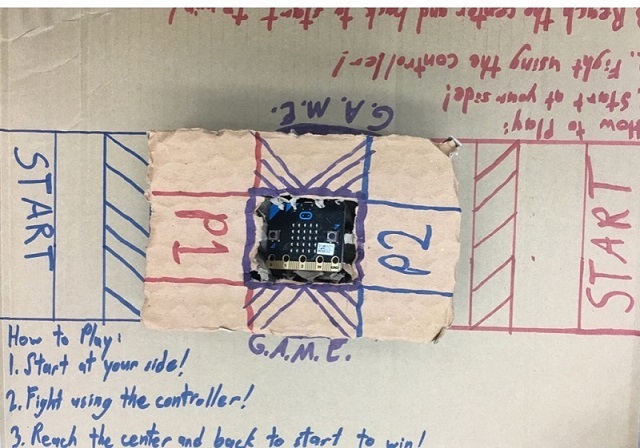 This is an example of a board game in which the micro:bit displays an arrow pointing in a random direction. The paper legend indicates different actions the player must take. Here is a portion of the board game’s code. A boolean variable is used to determine whose turn it is. If player1Turn is false, then it’s player 2’s turn. A random number is generated to show the arrow seventy-five percent of the time (for values of 0, 1, or 2). How did you incorporate boolean variables into your micro:bit program? How did you incorporate boolean operators into your micro:bit program? Describe something in your project that you are proud of. If you had more time to work on this project, describe what you might add or change. 4 = More than 2 Boolean variables are implemented in a meaningful way. 3 = At least 2 Boolean variables are implemented in a meaningful way. 2 = At least 1 Boolean variable is implemented in a meaningful way. 1 = No Boolean variables are implemented. * Uses Booleans in a way that is integral to the program. 3 = micro:bit program lacks 1 of the required element. 1 = micro:bit program lacks all of the required elements.